It doesn’t matter how good your SEO efforts are if you aren’t monitoring their progress! Luckily, AI can do this for you by gathering data and highlighting where you are winning and where you may be falling short. AI technology has the ability to deliver a personalised user experience to those browsing your site by customising messaging according to factors such as the user’s previous online behaviour. A better user experience automatically equals an improved Google ranking. AI can help to identify not only gaps in the market, but also the trending topics relevant to your industry, therefore making it easier to come up with new ideas for content marketing. This obviously will work hand-in-hand with SEO. AI technology can provide insight into the areas in which our budget will be best spent, thus allowing you to maximise all search engine optimisation efforts going forward. AI technology can handle multiple aspects of your online marketing (such as the ones mentioned above), which leaves you with more time to spend perfecting the other parts of your digital marketing strategy, such as writing original content and promoting it on social media (both of which will boost your SEO score even further!). 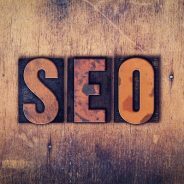 Want to know more about improving your website’s SEO? Contact the WSI OMS team today.